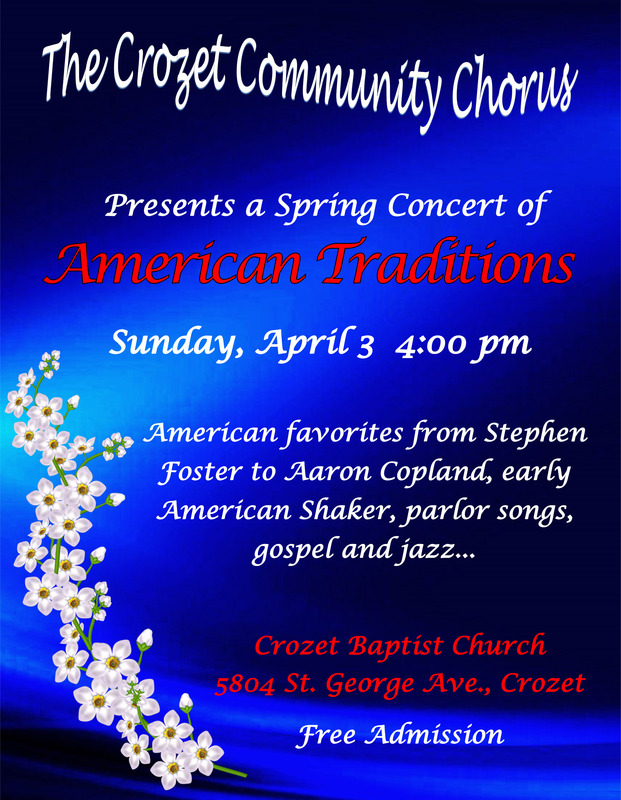 How Cool is It that Crozet Has a Community Chorus?! Sunday, April 3 at 4:00 p.m. Featuring the works of American Composers including Aaron Copland and Stephen Foster, jazz, gospel and other favorites.